Helping overseas companies realise their business expansion ambitions is at the core of what we do at Smart MBS. To gain some insights about the sectors we are trying to enable, we have recently conducted a piece of research into Foreign Direct Investment (FDI) in Ireland. 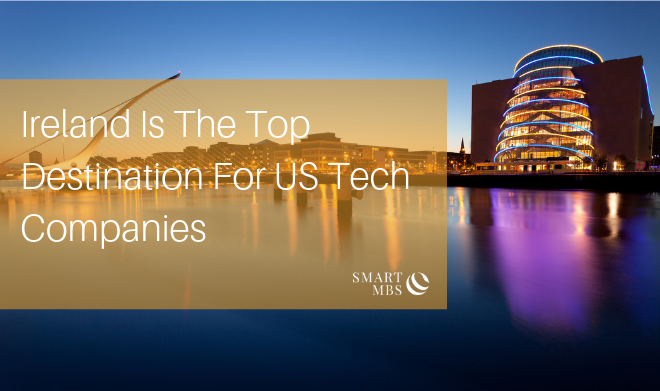 In 2017 Ireland was the number one destination in the world for FDI by US technology companies. Altogether they invested a massive $54 billion. To put some context on the scale of this investment, the GDP for Croatia and Belarus that year were the same amount each. The success of the global technology giants Google, Facebook, Microsoft, Intel and others has clearly created a blueprint that the US tech industry has been following. The UK followed in 2nd place with $51.1 billion. However, with Brexit looming large in 2019, it’s highly likely this figure will reduce if they lose their EU privileges. The Netherlands was a distant third with $33.8 billion. For those companies that made the decision and backed it with investment to set up in Ireland, they were rewarded handsomely. The average return on investment was a whopping 11.7%, the 5th highest in Europe. The Irish corporate tax rate of 12.5% is one of the best-known benefits of setting up operations in Ireland. While it is a huge incentive to establishing a presence here, there are many more attractive features that help seal the deal. IBM was the first tech giant to land in Ireland in 1956. Microsoft and Intel came in the 1980s with many more of the biggest names coming in the 1990s and 2000s. The WEF Global Competitiveness Report for 2016-2017 and the IMD Competitiveness Yearbook for 2017 rank Ireland in the top 10 globally for the quality of the education system. At present, 30% of students in third level institutions are taking courses in science, technology, engineering and maths (STEM). One huge advantage to setting up in Ireland is the free trade agreements that comes with our membership to the European Union (EU). This gives companies access to over 500 million potential consumers. Ireland has several initiatives that help companies develop and protect research, development and innovation activities. These include tax credits, intellectual property development tax incentives and centres of excellence. Is your tech company looking into setting up overseas? You can also find out more about Ireland as a location and Smart MBS as a company in our eBook, available to download below.